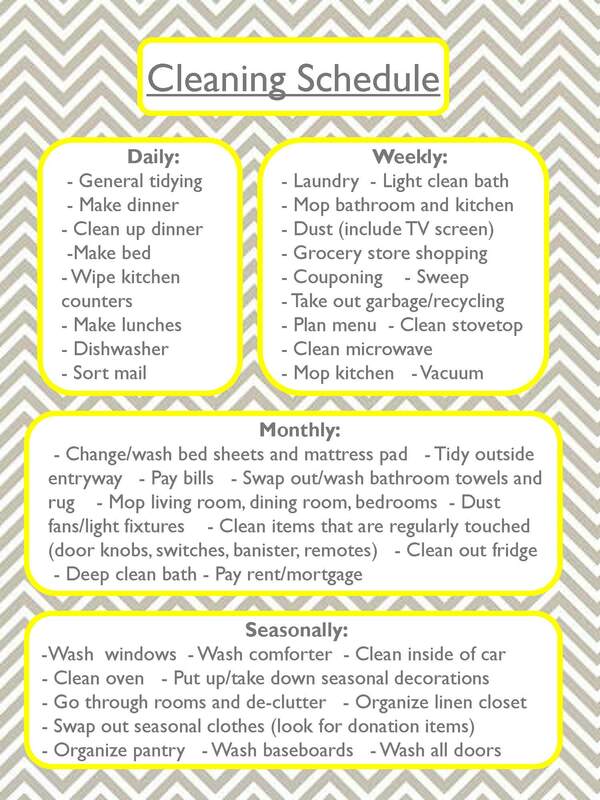 Way back last September (it seems ages ago), I put together a cleaning schedule. For the most part, I’ve been sticking to it and our apartment has been (mostly) clean. The bad part is that sometimes I find myself trying to get through all my chores in one day, usually at the end of the week, so I can get everything done. That wasn’t making things easier on me at all. I would think just tell myself that dusting didn’t take that long, so I can wait until the next day to do it. Well, when you tell yourself that every day, you’re left wit ha messy house, and a long session of power cleaning to get all your chores done. If you remember, those long cleaning sprees are precisely what I was trying to avoid in the first place. 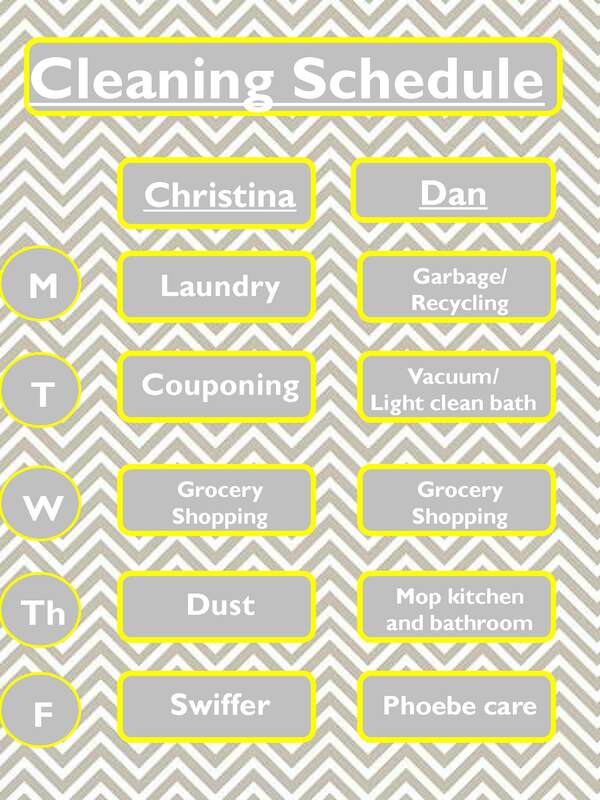 So, I decided to take my cleaning schedule a step farther and create a day to day weekly chore list for both Dan and I. It hits all the important tasks that must be done each week. The monthly and seasonally to do’s aren’t accounted for in the weekly chart, but I’m not too concerned. Those bigger tasks often are done on weekends, so I’ll just continue doing what I’m doing there. I found this new method really seems to help in getting the chores done throughout the week, and not having them all left to do on Friday anymore. Let’s hope this keeps up! 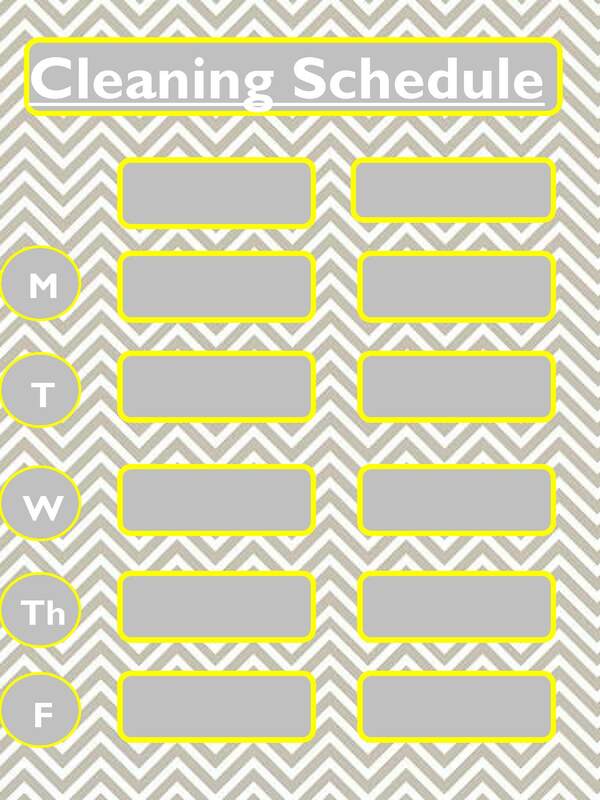 I created a blank schedule too, in case anyone wants to print it out and make their own. I’d say this is certainly a win in my quest to be more organized this January.